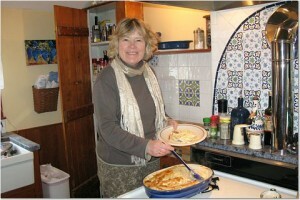 Trish helps herself to some Adult Macaroni & Cheese in the RootsLiving kitchen. 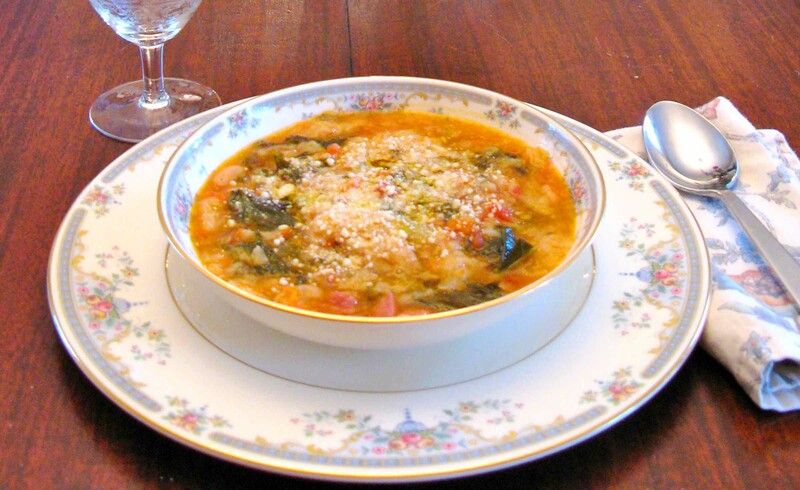 Best Lobster Stew Recipe, Ever! 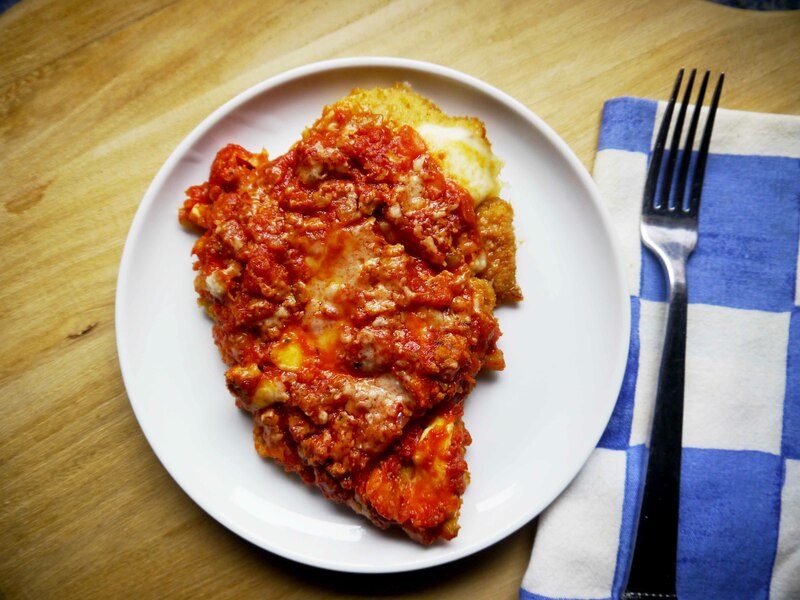 My grandmother made a great Chicken and Polenta. This is the same recipe. 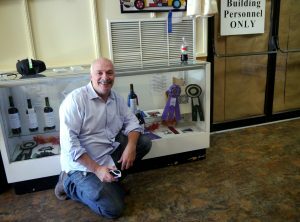 Revere resident Bobby Eustace bought the old shop from Ralph Polcari in 2004. 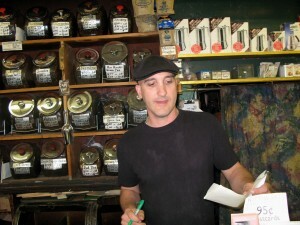 Eustace started working at the shop as a teen. Click the photo for more cinformation on Eustace. 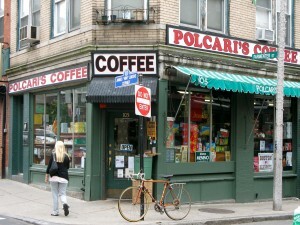 When you walk into Polcari’s Coffee store in Boston’s North End it’s like walking back in time: a very fragrant time. The scent of more than 40 different types of coffee beans mingles with the scent of a 100 different freshly ground spices to create one savory and sweet aroma. 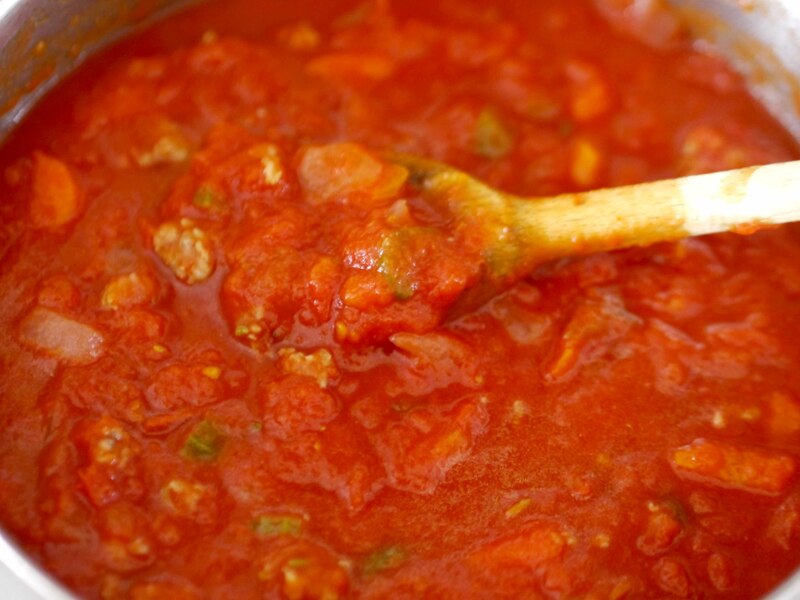 I imagine if this symphony of aromas came from one dish, it would be one giant parmesan casserole or perhaps a huge pizza pie, topped with something sweet — maybe apples or caramelized onions. 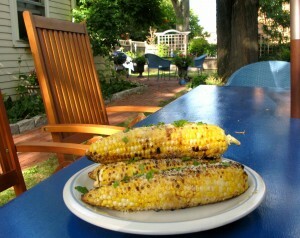 The place is also a feast for the eyes. 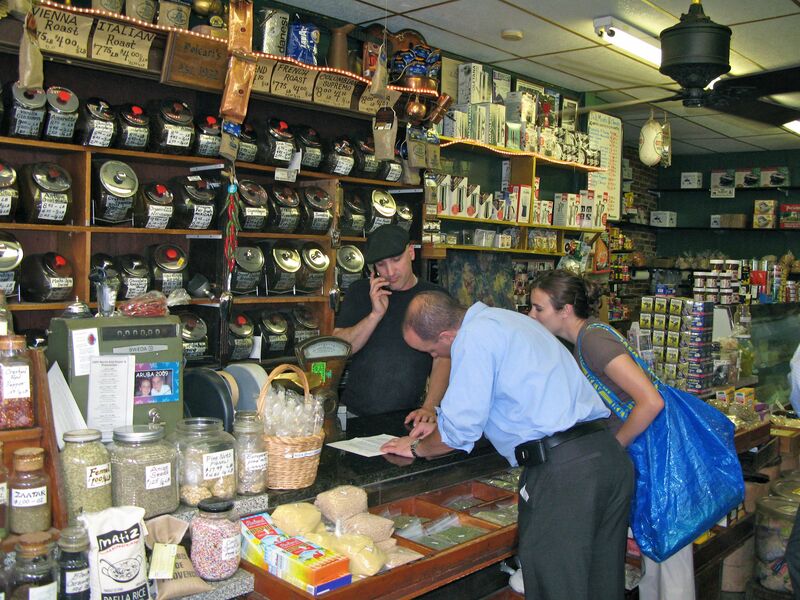 It’s old world, old school, and full of tradition, with wooden shelves holding glass bins of blackish, brown coffee beans, greenish, gray teas, and multi-colored spices. 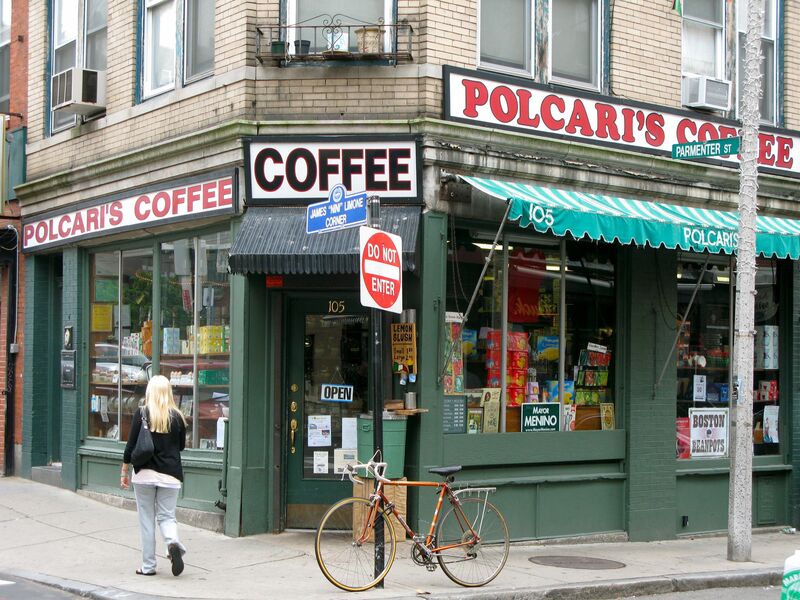 Polcari’s is one of a few shops in the North End that looks the same as it did 50 years ago. There is a small deli area towards the back of the store and a vertical banner hangs on a wall promoting asummer feast of a patron saint where some customers have attached dollar bills. Usually, during good weather, you’ll see a half dozen old men sitting in beach chairs outside the shop on the narrow roadway catching up on the neighborhood news. 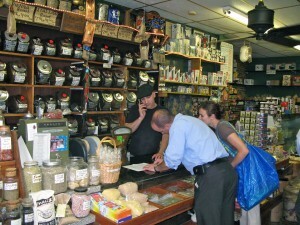 I visit the shop about every six weeks to buy the best coffee beans and loose teas, for the best prices. The mocha-java blend is about $7 a pound, about the same amount you’d pay for A&P brand coffee in the supermarket and this is so much better. The green gunpowder tea sells for $8 a pound. I think the same amount at Starbuck’s wanna-be Tealuxe, would cost you over $30. Cooking students at a nearby restaurant stopped in to pick up some items as part of their shopping/scavenger hunt. But the reasonable prices are only part of the attraction. The quality is high, especially for the dried spices. Small plastic bags of oregano and basil, about the size of my hand, sell for only a buck and are pungent, not like those little plastic jars you get at the supermarket that often have the scent of sawdust. 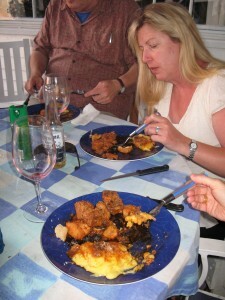 Good eating is all about good cooking and good cooking is all about using the best ingredients. Most of my good meals start here. Mocha Java Coffee Beans. I buy all my coffee beans whole and then grind them up as I use them. The mocha java beans are a hearty, medium blend: not too strong or bitter. Earthy. A good everyday morning cup. Green Gunpowder Tea. A medium strength tea. Lightly sweet. 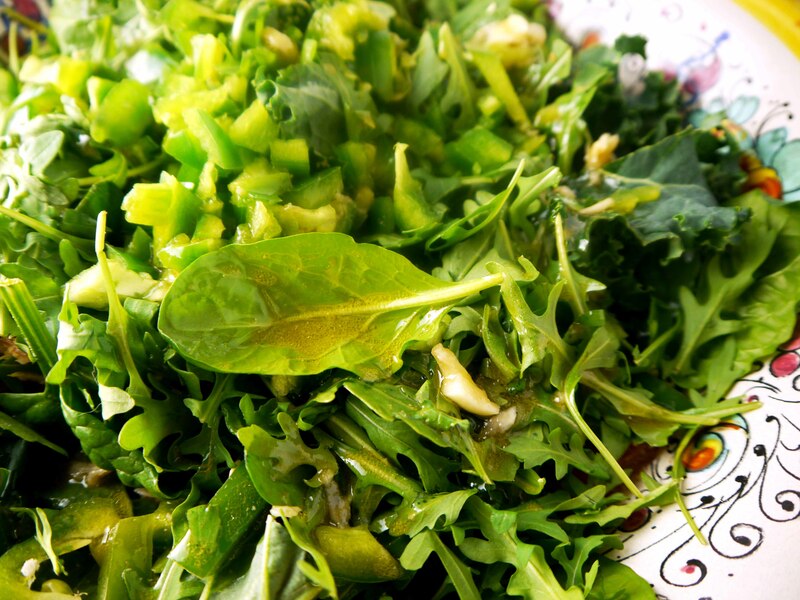 A fresh, grassy, taste with just a little bitterness. Served best with a little sugar or even peppermint. 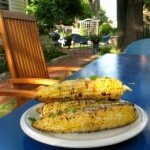 Makes a great, refreshing iced tea too. Healthy. Italian Roast Coffee Beans. This is your dark, strong, espresso roast. Add a small piece of lemon peel, sugar, and a good quality dark rum for an after-dinner pick-me-up. Or simply add a splash of sambuca. Russian Caravan Tea. This is often described as a tea for coffee drinkers. Very strong. Smells like smoke, some have even said, bacon. I love this tea hot, with cream and sugar. Chamomile Tea. A very light, apple-sweet tea made from dried flowers. Many drink it to relieve stress or to help them go to sleep at night.